This dress is amazing it was way more then I ever expected. 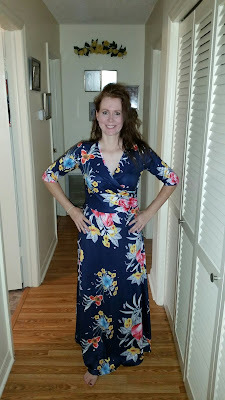 The dress that I received was a medium in navy blue and I absolutely adore it!! 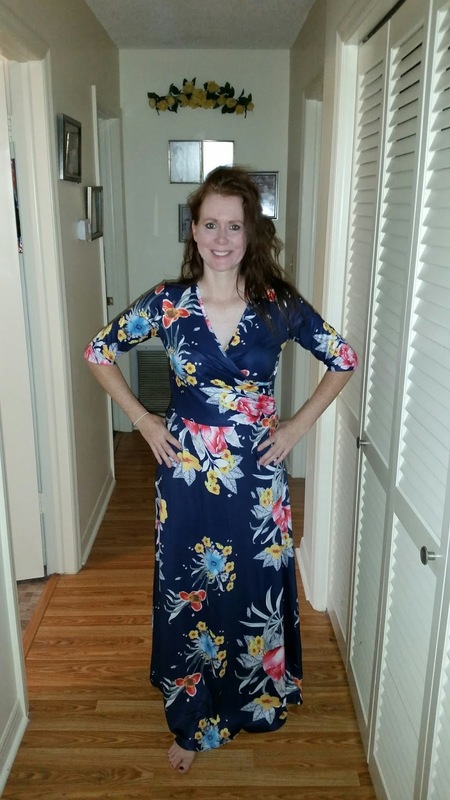 It is a lot heavier then what I expected with the other dresses I got they are pretty light weight and thin but this one was amazingly heavy which is not a bad thing you can tell it's made really well. 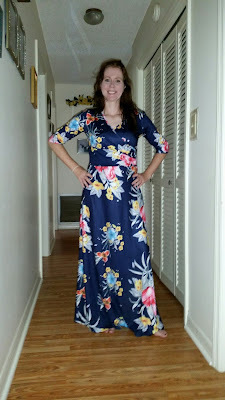 At first my husband didn't like the pattern but when I put the dress on he loved it and it was very form fitting and comfortable. 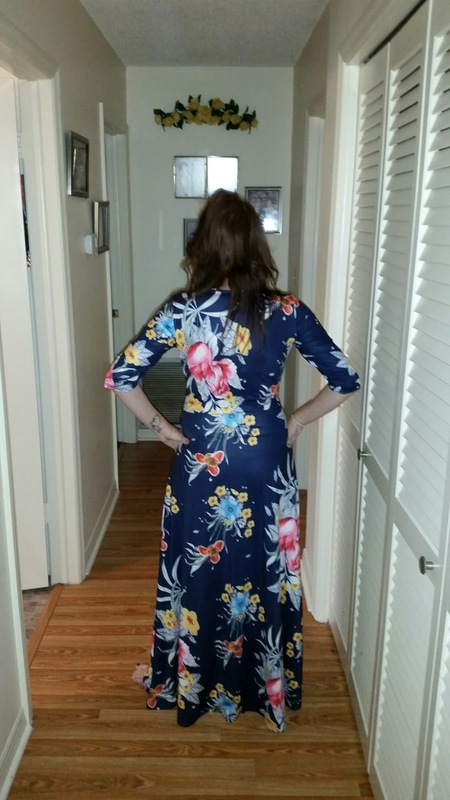 Also the dress is pretty long so if your short maybe wear some heals with it. I am short and I work sandal flats and had no issues with stepping on it or nothing. Love this dress can't wait to wear it again. I got a lot of complements on it. Can you see how beautiful this dress is?? The pictures don't even do it justice. 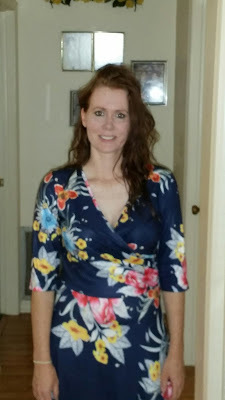 This dress comes in blue, black, and navy I am wearing the navy one and love it. The flowers on the dress add great detail to it and I am loving the sleeves. 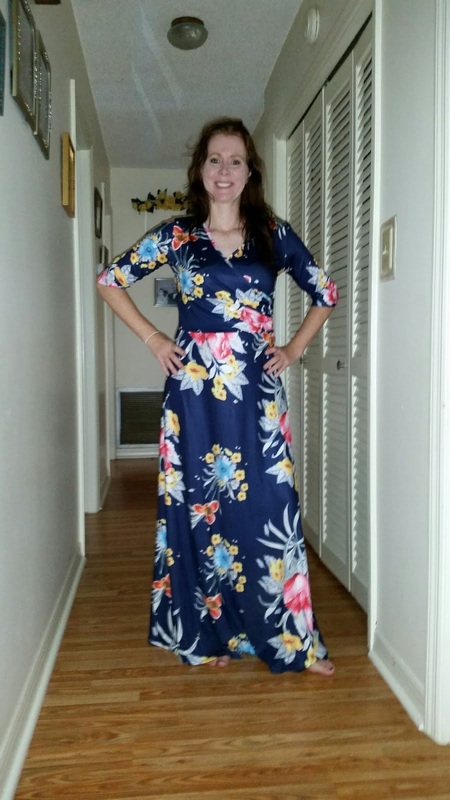 If you are one who likes simple dresses then this is the one for you. Dress it up Dress it down either way your gonna look great in this dress from Kranda. And this is what it looks like from the back. 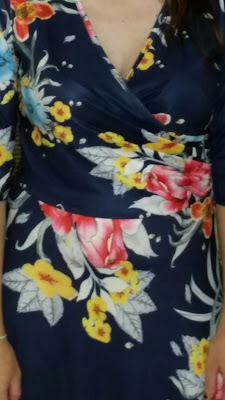 Here is a close up of the print on the dress I love the beautiful colors of the flowers.